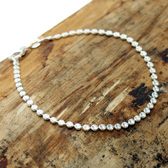 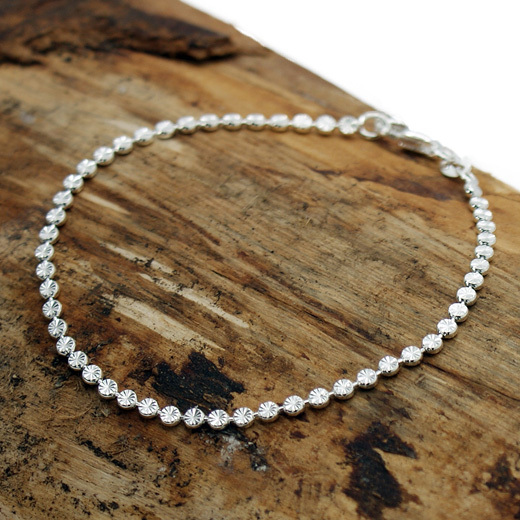 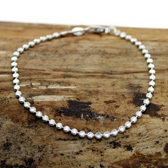 This is a striking sterling silver diamond cut illusion bracelet that will add sparkle to any outfit. 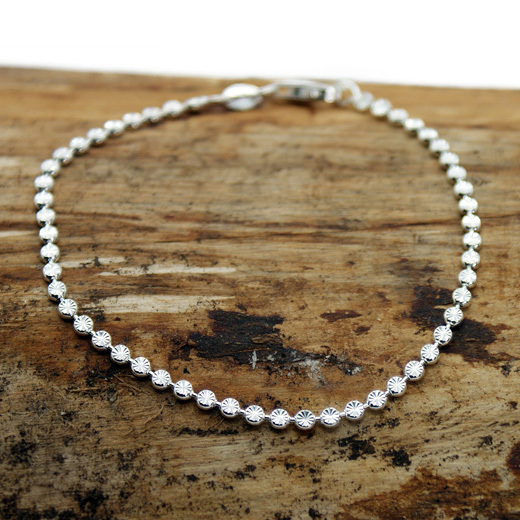 The diamond cut illusion - the sterling silver is cut in such a way that it looks like diamonds, but this is an illusion; it is sterling silver - is on both faces of the bracelet. 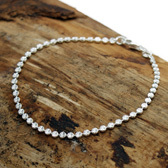 It is suitable to stack with your favourite bracelet styles for an eclectic finish and fastens with a lobster clasp.